Growing tomatoes should be one of a gardener’s greatest pleasures. From planting the seeds, watching them sprout and thrive right up to the moment the flowers bloom and turn into ripe, red fruit. But all this hard work can be undone if you get an infestation of tomato worms. These irritating pests can affect your whole crop and render the fruit inedible. It can be very annoying to work all season only to have these critters get to your fruit before you can! In this tutorial, we explore how you can identify tomato worms, control them and give you a step by step guide to completely rid your garden of these pests once and for all. A tomato hornworm is essentially a type of caterpillar which thrives on the tomato plant. Because they are green, they blend into the green leaves far too easily meaning by the time you spot them it is often too late. They have voracious appetites and can easily munch their way through your healthy crops causing a trail of devastation through your carefully cultivated plants. Although they are green, tomato hornworms can grow up to five inches long which is quite large! While their life cycle means they move from caterpillar to moth, the main damage is done while they are in the caterpillar stage and when they eat the most. They have black and white markings in a V shape on their body and once they emerge from their cocoons they are a patterned brown moth. Large adult moths lay eggs in late spring which they hide on the underside of leaves. They take around a week to hatch. The larvae then emerge and feed for about four to six weeks. This is when the most damage will be done to your plants so it is important you inspect your plants in late spring and early summer. The larva will leave dark green droppings on the top of your tomato leaves and then hide on the bottom of the leaves. Make a habit of inspecting your leaves for these droppings and then hunting out the worms themselves. You should look for missing leaves on stems and wilted leaves. You may also find white cocoons or holes eaten through the leaves of your plants. Another sign you have a worm problem is the flowers will be eaten and the fruit will have marks and scarring on the surface. You might also find the fruit becomes scalded by the sun due to the loss of leaves shielding them. Prevention is always better than cure so if you haven’t yet seen worms in the garden it is good to get some preventative measures in place. You should dig over your soil thoroughly at the beginning and end of every gardening season to destroy any larvae that will have buried themselves in the soil under your plants over the winter. This has a 90% proven success rate. Wasps are usually a garden pest but if you’re trying to grow tomatoes then they are your friends. Keep these insects around as they feed on hornworms and do a great job of ridding your garden of them. This is a natural method to protect your plants. There are also some specific plants you can interplant amongst your tomato plants to stop hornworms from getting onto your crops. Dill, basil or marigolds are all great plants to deter tomato worms. Handpicking is an excellent tactic for controlling the spread of tomato worms. It can be time-consuming and laborious but it does work well. Simply carry out inspections of your plants every other day through the peak season (early spring) and remove the caterpillars.You might be worried that they will sting you but tomato worms do not have a sting. You can buy specific pesticides to kill off these bugs but you must check carefully with your local garden centre as to approved pesticides and the affects they might have on other plants.Generally, pesticides should be seen as a last resort due to the damage they can cause the environment. Spraying soapy water on the bugs can also kill them but this can also have an adverse affect on your plants if used to frequently. As mentioned above, encouraging wasps in your garden can be a great (and free) way to control the tomato worms naturally. Follow the advice above to find the tomato worms on your plants and identify how far it has spread. If you can, remove your infected plants to a new area. This is easier if you are using grow bags or pots as you can simply move these to a different area of the garden. Whether you are using handpicking, insecticides, soapy water or encouraging natural methods you should pick one and stick to it. It will take around two weeks to start to see the improvement to a damaged plant. Once you have gotten rid of the bugs, plant some of the preventative plants to stop it from happening again. So if you’re looking to grow tomatoes and want to protect against tomato worms, or even if you’re already battling an infestation, hopefully this article will have given you some practical tips and advice. Make sure you are checking your plants for the worms regularly so you can catch the problem early and then choose your method. Whichever you choose, be patient and then remove the risk of another infestation by taking preventative measures. 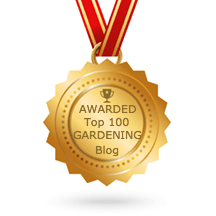 If you’ve found this article helpful, please share it with your fellow gardeners.